I BELIEVE IN INDIVIDUALITY, THAT EVERYBODY IS SPECIAL, AND IT’S UP TO THEM TO FIND THAT QUALITY AND LET IT LIVE. I'm so glad that you've decided to stop by. There's not much to me--I'm a stylist who loves all things beauty, music, style and food. I live in Florida with my Husband, both of us being classical musicians. (He plays saxophone.) Pursuing a career in classical music actually helped me create Emerald Girl Chronicles. As a classical singer, I constantly had to adhere to the conservative taste in the industry while trying to keep my unique personality present. I hated shopping, style and felt like the rules of style were overwhelming. I finally cracked the code once I accepted my quirks and realize the value in them. My quirks were the key to my style. It was only then that I dressed impeccably and authentically no matter the occasion. Friends,family and colleagues took notice and began to come to me with their own style frustrations. Always wanting to help, I started EGC to have the answers and tips all in one place as a source of inspiration. It has grown to become so much more. 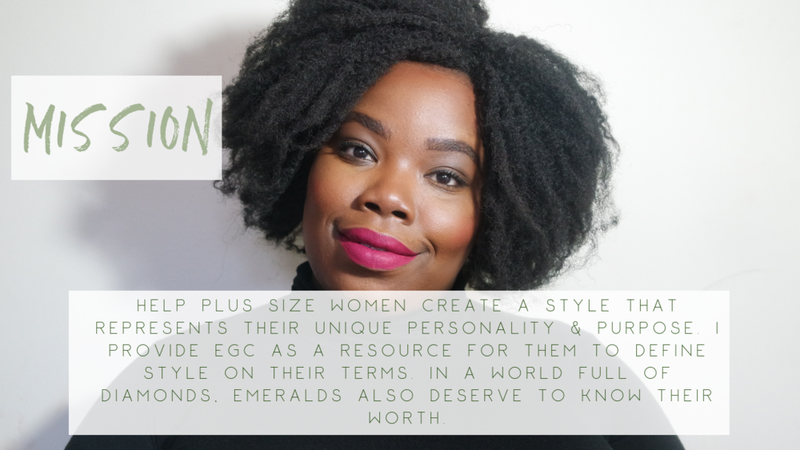 The concept of Emerald Girl Chronicles is simple. The world lauds the diamond for its clarity, sparkle and equate its value from its worth to its proximity to perfection. Many women align themselves to diamond standards. This is a recipe for disaster. Instead, we should align ourselves with the Emerald. A stone that bites very nature is flawed, yet still considered precious and valuable. Just like the Emerald, we as humans are flawed. But, like the Emerald we are precious, valuable and worthy of being loved. If you don't realize that, you're in the right place. That's my mission to help you realize your worth and never apologize for it. DO YOU WANT TO ASK ME SOMETHING OR WANT TO START WORKING WITH ME? SEND ME A MESSAGE! I WOULD LOVE TO HEAR FROM YOU!